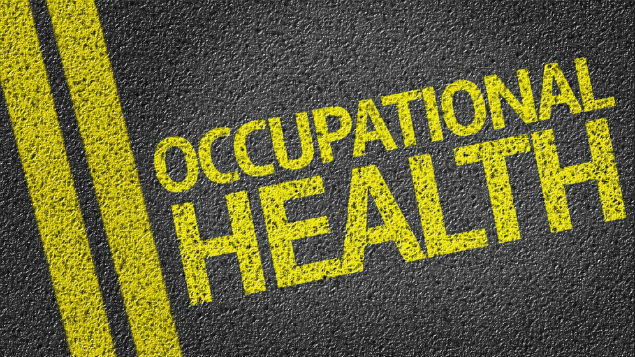 This month’s round-up of occupational health research includes studies showing that internet-based tools can help reduce stress and that nurses working night and evening shifts have an increased risk of diabetes. Sarah Silcox reports. A self-guided web-based tool to manage stress is effective in reducing typical mental-related and work-related stress symptoms, according to an evaluation. A sample of 264 employees with raised stress levels was assigned to either a web-based stress management intervention or a control group. The internet-based intervention consisted of seven sessions and one booster session including problem-solving and emotion regulation techniques. Employees in this group showed a significantly higher reduction in perceived stress after the seven sessions and at a six-month follow-up compared with the control group. The authors conclude that internet-based interventions can be an acceptable, effective and potentially cost-effective approach to managing the negative consequences of work-related stress. Ebert DD et al. “Self-guided internet-based and mobile-based stress management for employees: results of a randomised controlled trial”. Occupational & Environmental Medicine, first published online 16 February 2016. Nurses working night and evening shifts have an increased risk of diabetes, according to a study of Danish nurses. Of the 19,873 nurses who were diabetes-free at recruitment, 4.4% had developed diabetes 15 years later. Those who worked night shifts were around 1.5 times more likely to develop diabetes, compared with nurses working day shifts, the study finds. Hansen AB et al. 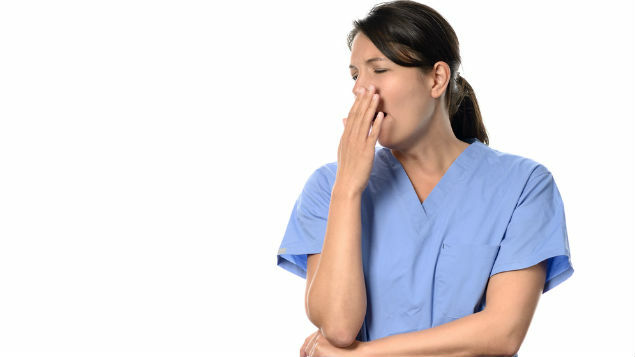 “Night shift work and incidence of diabetes in the Danish nurse cohort”. Occupational & Environmental Medicine, first published online 17 February 2016. Heavy manual work is not associated with greater hand grip strength at normal retirement age, according to a study of 1,418 men who had worked for at least 20 years in physically demanding activities. Working at physical intensity levels sufficient to induce sweating was not significantly associated with grip strength, itself an important predictor of long-term health and physical function in older people, the study concludes. Walker-Bone K et al. “Heavy manual work throughout the working lifetime and muscle strength among men at retirement age”. Occupational & Environmental Medicine, first published online 19 February 2016. Employees who feel their job security is threatened will suppress personal values and pretend to embrace the employing organisation’s values as a coping strategy, according to survey-based research. So-called “facades of conformity” are more likely to be used by younger workers when faced with increased job security, the survey suggests and are, in turn, associated with an intention to leave the employer. In practice: the study highlights the importance of employers fostering a workplace environment that encourages authenticity, so that employees do not feel compelled to suppress personal values. The results also highlight how older workers, faced with job insecurity, are more likely than younger ones to express divergent points of view. Hewlin PF et al. “Creating facades of conformity in the face of job insecurity: a study of consequences and conditions”. Journal of Occupational and Organizational Psychology, first published online 18 January 2016. There is an indirect relationship between an individual’s psychological health and their body weight that is, in turn, mediated by their health behaviours, according to a study of US prison workers. The employees completed physical assessments and self-report surveys that measured body mass, perceived stress and overall psychological health (mood and depressive symptoms), together with information on their health behaviours including diet and exercise. The results suggest that psychological health and stress affects body weight, but that this effect is mediated by health behaviours. Mignano C et al. “Psychological health, behaviour, and bodyweight (PBBW) model: an evaluation of predictors of health behaviors and body mass index (BMI)”. Journal of Workplace Behavioral Health, vol.1, issue 1, 2016. Organisational restructuring, regardless of whether or not it involves redundancies, has a negative effect on employee wellbeing, according to a systematic review of longitudinal studies. The majority of the 39 papers examined for the review showed a negative impact over both the short and long term, although some groups of workers, including those with “high organisational status”, reacted less negatively to the change. Factors that intervened in the general negative relationship between organisational change and employee wellbeing include: job control; communication and provision of information; job insecurity; and acceptance of change. De Jong T et al. “The impact of restructuring on employee wellbeing: a systematic review of longitudinal studies”. Work & Stress, vol.30, issue 1, 2016. The relative cohesion of a military unit and the exposure of soldiers to traumatic events are independently associated with poor mental health, according to a survey of Australian soldiers deployed to Iraq or Afghanistan. Among participants, those deployed to units with low levels of unit cohesion had higher odds of developing symptoms of post-traumatic stress disorder (PTSD), very high psychological distress and alcohol problems compared with those reporting high levels of unit cohesion on deployment. Kanesarajah J et al. “Unit cohesion, traumatic exposure and mental health of military personnel”. 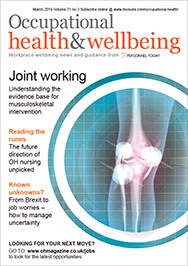 Occupational Medicine, first published online 12 February 2016. Location and career choices may affect the life expectancy of doctors, according to an analysis of obituaries published in the British Medical Journal between 2003 and 2012. The study of 3,068 obituaries finds that working in public health, obstetrics and gynaecology, and laboratory medicine were all associated with significantly increased age at death, as were working in London and Northern Ireland. Parenting children was also positively associated with longevity – each additional child was associated with a relative increase in age at death of 1.1 years. Holleyman R and Vann Jones S. “Location, vocation, procreation: how choice influences life expectancy in doctors”. Occupational Medicine, first published online 5 January 2016. 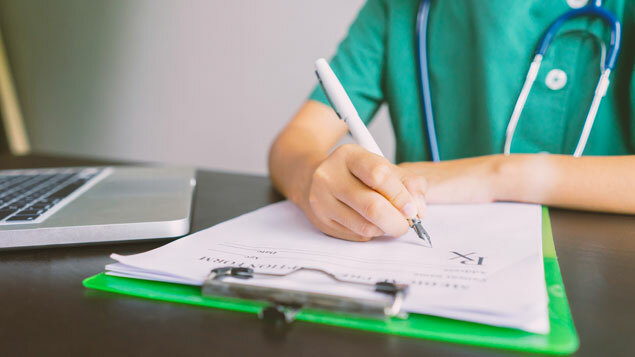 Healthcare professionals who treat cancer patients can benefit from additional training in how survivors address their employment needs, a US study finds. Mentoring programmes for healthcare professionals might also have a positive effect, as longer-serving healthcare professionals have higher levels of knowledge about the interventions available to support work retention among people living with cancer. Murphy KM et al. “Health care professionals and the employment-related needs of cancer survivors”. Journal of Occupational Rehabilitation, first published online 8 February 2016.